SpaceX’s Crew Dragon is at NASA’s Plum Brook Station in Ohio, ready to undergo testing in the In-Space Propulsion Facility—the world’s only facility capable of testing full-scale upper-stage launch vehicles and rocket engines under simulated high-altitude conditions. The chamber will allow SpaceX and NASA to verify Crew Dragon’s ability to withstand the extreme temperatures and vacuum of space. This is the spacecraft that SpaceX will fly during its Demonstration Mission 1 flight test under NASA’s Commercial Crew Transportation Capability contract with the goal of returning human spaceflight launch capabilities to the U.S. 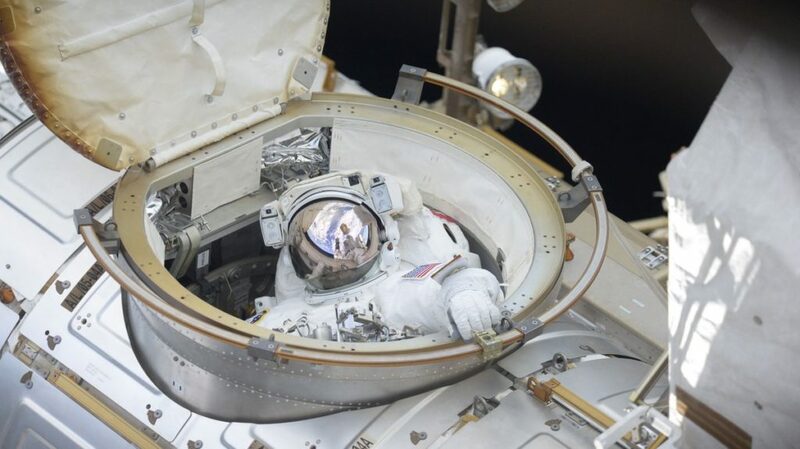 Tune into NASA TV now to watch NASA astronauts Ricky Arnold and Drew Feustel install new high-definition cameras on the International Space Station. 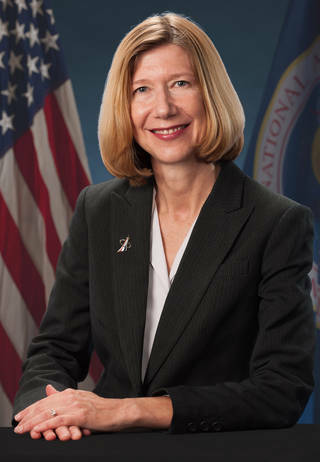 The cameras will give NASA enhanced views of the next generation of commercial American spacecraft as they approach and dock to the space station during upcoming flight tests. 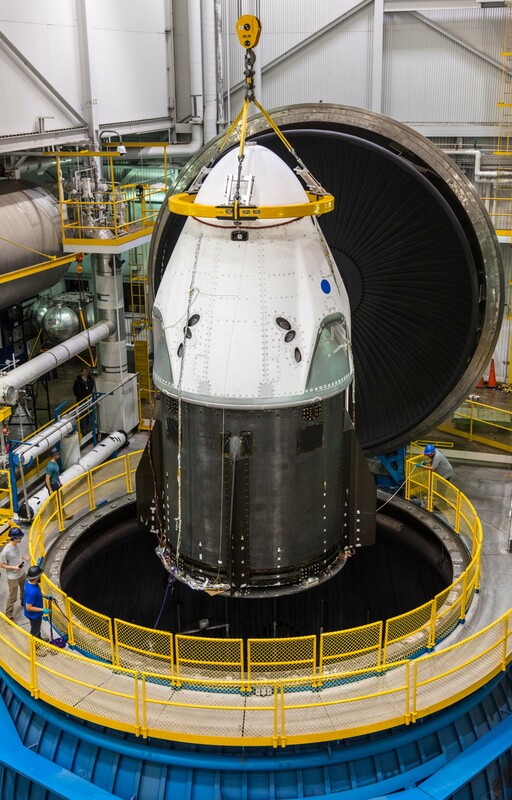 Boeing’s CST-100 Starliner and SpaceX’s Crew Dragon will begin launching from U.S. soil later this year, and will each carry out an uncrewed flight test before putting astronauts on board. To enable the enhanced views, the two spacewalkers are installing brackets and the cameras near the international docking adapter mated to the front end of the station’s Harmony module. They also routed the ethernet and power cables to connect the cameras to the station. The booms holding the cameras also expand the wireless network at the orbiting laboratory.